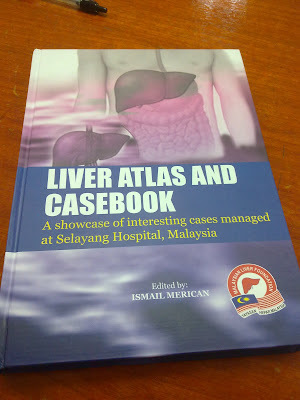 Was browsing through the book collection in the HDOK library and came across this book titled “Liver Atlas and Casebook” edited by our very Malaysian Director General of health, Dr Ismail Merican himself. 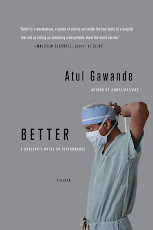 I highly recommend this book for students like me out there as it highlights important concepts pertaining to the diagnosis and management of common diseases that affect one of the largest organs in our human body- the liver. On the other hand, this book compiles a number of complex cases, which were managed by the highly specialised team in our very own hepato-biliary excellence centre- Selayang hospital. Overall rating of 8/10 with high resolution pictures of specimens for an in depth understanding of the pathology of most liver diseases. Some of the important facts that I’ve gathered after finishing ¾ of the book. HCC usually causes thrombosis of the portal vein and its branches. Jaundice is not a common presenting feature of HCC. Diagnosis of HCC rarely depends on liver biopsy due to potential tumour dissemination that may convert a resectable lesion into a non resectable disease. Among the common presentations of HCC is abdominal pain/discomfort usually felt as a dull sensation, awareness of abdominal mass/constitutional symptoms of appetite and weight loss. 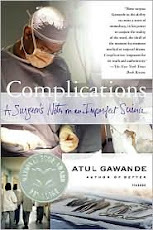 Jaundice and ascites develop in later stages of the disease, when present contraindicates surgery. The most common benign liver lesion-hepatic haemangioma that is usually picked up incidentally. Adolf Weil was the first person to document this disease and thus severe form of leptospirosis is also called Weil Syndrome. The leptospires, directly/through immune mechanism damage blood vessels, cause centrilobular necrosis of the liver, renal tubular dysfunction by causing interstitial nephritis and acute tubular necrosis. Diagnosis is based on serology with 1:800 being diagnostic.